There are few trained professionals in Cleveland, Ohio who are dermaplaning experts. You may not have ever heard of this amazing and effective skin care treatment. Dermaplaning is a non-invasive and non-surgical skin care treatment used to exfoliate the skin. Exfoliating means to remove the dirt, debris and dead skin cells from the upper layer of the skin. Over time, debris and dead skin cells build up causing the skin to look dull and dry. A very delicate blade, similar to that used for shaving, is used to remove the upper layer of dead skin and debris, which allows the healthy newer skin cells of the face to come to the surface. After this simple procedure, your skin’s healthy, natural glow and radiance is restored. 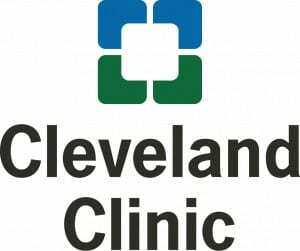 What kind of results should I expect from Dermaplaning in Cleveland, Ohio? Results from dermaplaning skin care treatment are immediate and typically last about 3 or 4 weeks. Your skin will not only look younger, healthier and more radiant, it will feel amazing. With a much smoother texture, makeup application is easier and has a remarkably enhanced appearance. Who can perform a dermaplaning skin care treatment? 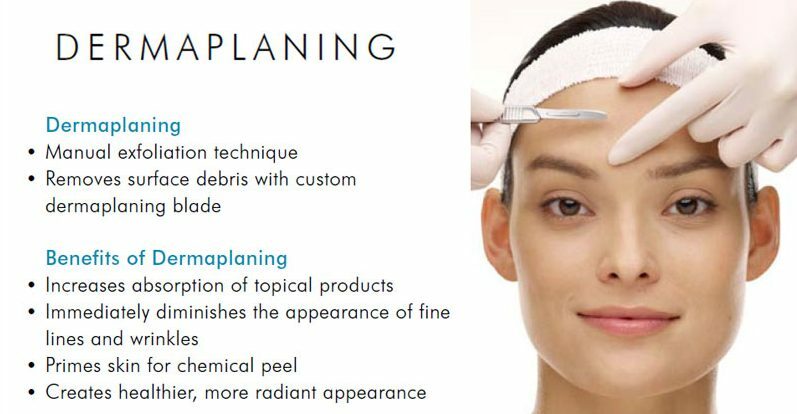 Dermaplaning must be performed by a licensed skin care professional, or medical aesthetician, with training specific in the dermaplaning procedure. Our medical aesthetician is licensed by the state of Ohio to perform the full scope of medical aesthetian services. In addition to being licensed, our medical aesthetician has also undergone extensive training and is a master of the dermaplaning procedure. Dermaplaning does not hurt. In fact, most people undergoing a dermaplaning procedure describe the sensation as pleasant. No anesthesia or numbing medicines are necessary. The dermaplaning process takes about 30 minutes. However, treatment begins with a gentle deep cleansing of the skin and ends with a calming masque and application of a makeup touch-up. So, patients should allow about 45-60 for the treatment. No. It is a common myth that shaving and similar procedures like dermaplaning will cause facial hair to grow faster, grow back fuller or become darker. Dermaplaning will not make hair darker, fuller or cause hair to grow faster. In fact, one of the most beneficial effects of dermaplaning is to remove the vellus hair. Vellus hair is the short, fine, light-colored hair that covers all skin surfaces with only a few exceptions such as: the palms of the hands, soles of the feet, naval and lips. Click here to learn more about vellus hair. Is it safe to have a nonsurgical treatment, like Botox® or Dysport®, during the same office visit? Facial cosmetic procedures such as Botox® and Dysport® injections are performed by our board-certified facial plastic surgeon, Dr. Harmych. Our staff is committed to providing the safest, most comprehensive and efficient facial plastic surgery and skin care to our patients. 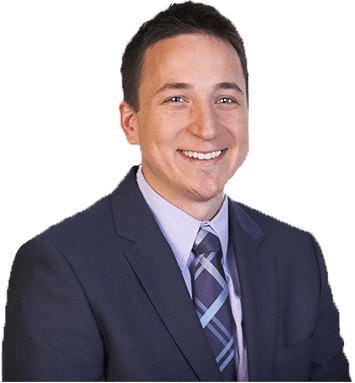 We frequently coordinate office visits so that patients may see Dr. Harmych during the same time they are here for skin care. In most cases, patients see the medical aesthetician prior to seeing the doctor. Is it safe to have nonsurgical soft tissue fillers such as Radiesse or Juvederm after having dermaplaning? Yes. However, similar to Botox® and Dysport®, skin care treatments are always performed first, including dermaplaning. Where should I go for Dermaplaning Treatments in northeast Ohio? Harmych Facial Plastic Surgery is located in the Cleveland, Ohio suburb of Pepper Pike near Beachwood, Ohio. Schedule a consultation at our Beachwood location and see if dermaplaning treatments are a good option for you.